Right awesome People and drive culture. Leadership teams primarily planned for Lag indicators. With qilo, teams started identifying lead indications to achieve lag indicators. 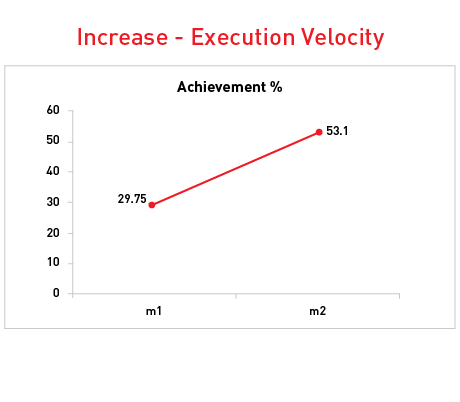 While the lag indicators got captured in CRMs and ERPs, its execution on the lead indicators do not get captured anywhere or at most in excel sheet sitting in silos. qilo digitized the process and brought all the data on one page. 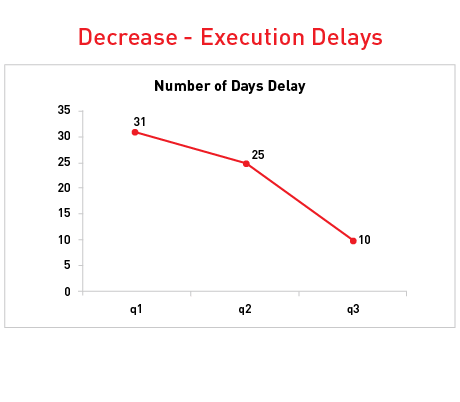 CEO was unable to quantify the pace of execution and reasons for delay in execution of projects and objectives. qilo started producing insights for the CEO and highlighted the delta in execution. Integrations with the CRM’s and ERP’s for real time KPI tracking to see the end to end picture. 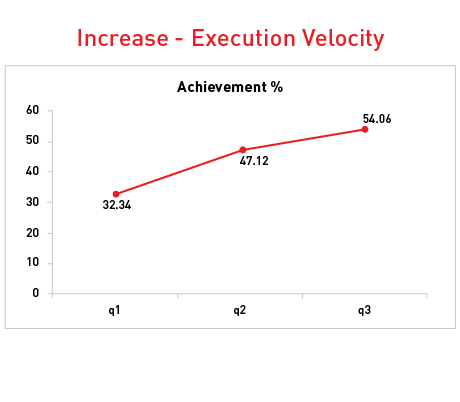 Execution data linked with Performance Rewards. qilo created individual Performance Reports based on projects and objectives. An Indian conglomerate group company focused on Agri-business struggling to become profitable and is losing market share against its competitors. 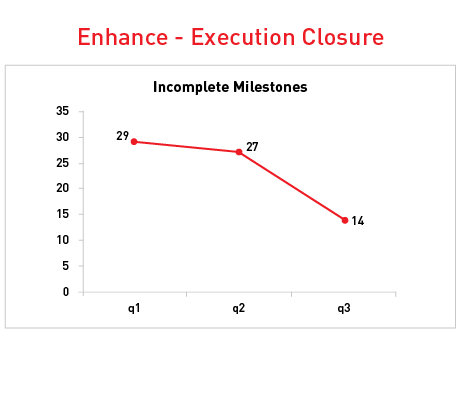 But the challenge was to achieve agility ,speed and cross- team collaboration/accountability in executing those initiatives. In the company there was a lack of clarity on who owns what, how we are progressing and analysis of how we can improve on the future plans. 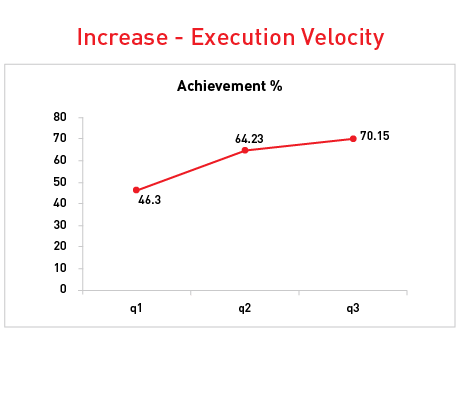 qilo’s insight on execution velocity gave tangibility on execution. Strategic plans were not detailed enough. With qilo came detailing and cross team collaboration. It was easy to cascade strategic plans till minus 3 level. Every team was using own format in excel not connecting with the big picture. qilo has put in a standard process to digitize to plan, track and review. Reducing cost and wastages are core of Manufacturing domain. qilo enabled a cascade of cost reduction metrics to last mile. The company leading manufacturer and exporter of premium shoe care products, accessories and insoles in India. Only a financial plan existed in the company, qilo gave them planning as a bi-product, leaders were induced to share plans in a very simple qilo format. 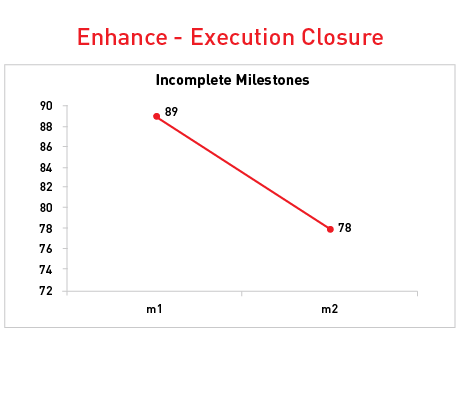 Execution Team spread across various cities. To collate all the achievement information on spreadsheets is a huge task. qilo’s maker and checker helped to quicken the upstream communication. Alignment to the big picture makes people work passionately and collaboratively. qilo made is possible for such a diverse spread to collaborate, share insights, idea’s and challenges.